Welcome to our little tree-house community. We’re not very big, but we’re cozy. We’re not very fancy, but we’re comfortable and friendly. 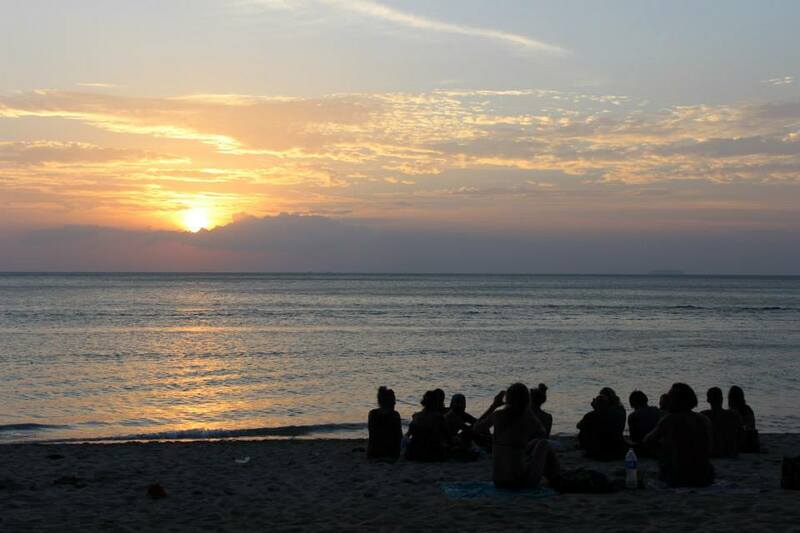 If you’re looking to meet other travelers and have a centralized place to call home, come join us at one of the cheapest hostel/guesthouses on Long Beach. From private rooms to dormitories, all interwoven in our little driftwood tree-house structure, we’ve got affordable options to suite everyone’s needs. Come enjoy an icy cold beer or some of the cheapest cocktails around in our full bar. 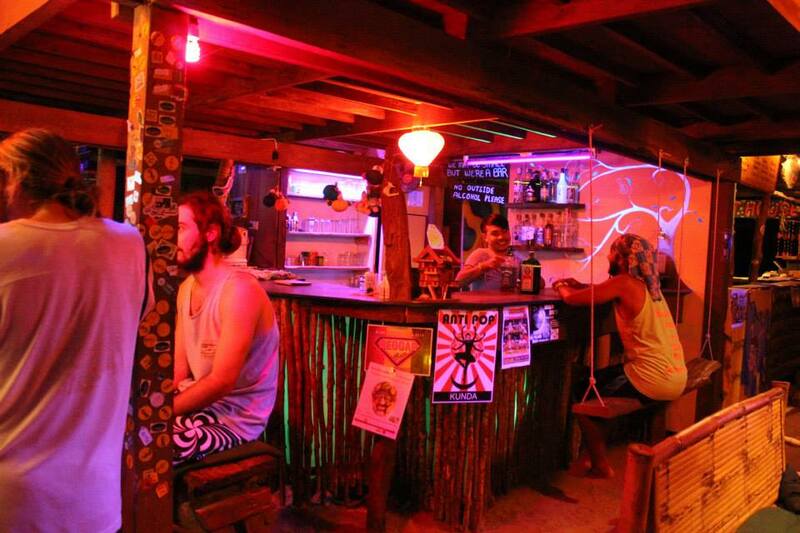 It’s a great casual or pre-party spot, as we do close midnight out of respect to our sleeping guests- there are many late night beach bars and events that the party train can stumble to after hours. We can help you book cheap tickets to do activities/tours of the area, or sometimes on mellow days you just wanna lay around and relax so you can flip through our selection of movies to enjoy. We’re only an 80 meter stroll to the beach- far enough to be protected by the jungle from the rainy season storms, but close enough to hear the waves crash at night. Our neighborhood is friendly, relaxed, and safe. Around us is Thai massage, fruit shakes, great restaurants, a mini mart, and other bungalows and bars- all interconnected by dirt paths surrounded by jungle. There are tuk-tuk taxis readily available to take you all around the island, but most people find they have everything they need within walking distance. Check out the ACTIVITIES page to see some fun stuff to do while you’re here.